GHE FloraKleen is a unique, high performance rinse and soil conditioner for all substrates and systems. 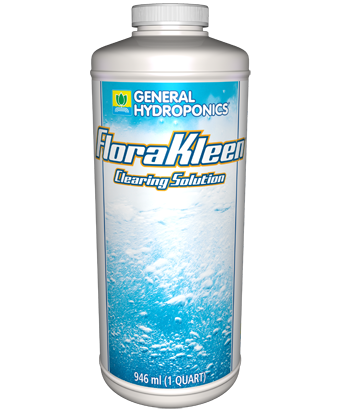 From rejuvenating houseplants to maximising yields and potential in commercial hydroponics, GHE FloraKleen is one of the most powerful tools available to gardeners! Specifically developed to dissolve mineral salts,FloraKleen releases nutrient bonds between minerals and substrate and allows you to rinse excess residue. This release also helps plants make the most of remaining fertilizers, especially in the crucial week just before harvest. Unlike other “flushes” and finishing products on the market, FloraKleen is not an acid, isn’t enzyme based, and does not dump magnesium or other mineral additives into your system – this makes it uniquely flexible: with FloraKleen® you can give your system, and your plants, a clean slate at any time and at any stage of the growth process. – indoors or outdoors, soilless or hydroponic, pots or garden beds, FloraKleen is easy to use: just mix with pH adjusted water and apply. To reset and refresh before changing nutrients (inc. before Ripen): Add 1.5 to 3 ml / L of FloraKleen to your existing nutrient solution and circulate for 24 hours before draining and replacing with fresh nutrient solution. Use the lower dosage for young or fragile plants, and the higher dosage for established plants / close to harvest. 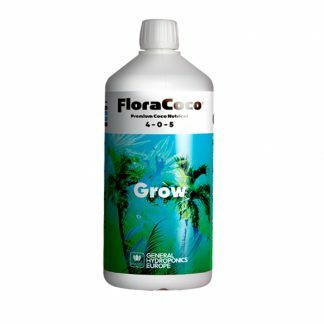 After nutrient burn or lock-out: Drain old nutrient solution, add 1.5 to 3 ml / L of FloraKleen to pH adjusted water (you don’t need to use a full tank, just enough to circulate freely and run the system). Circulate for 24 hours before draining and adding new, fresh nutrient solution. Use the lower dosage for young or fragile plants, and the higher dosage for established plants. As a final rinse (after Ripen): Drain old nutrient solution, add 1.5 to 3 ml / L of FloraKleen to pH adjusted water (you don’t need to use a full tank, just enough to circulate freely and run the system). Circulate for for the last two days before harvest to increase sugar levels in your crop instead of losing aroma and medicinal content with a long water flush..
To reset and refresh before changing nutrients (including before Ripen), and after nutrient burn or lock-out: Every fifteen days (or when needed after lock out etc): fill a watering can with fresh pH adjusted water and add 1.5 to 3 ml / L of FloraKleen. Drench until there is runoff from the bottom of the pot. Resume your regular fertiliser schedule with the next watering. 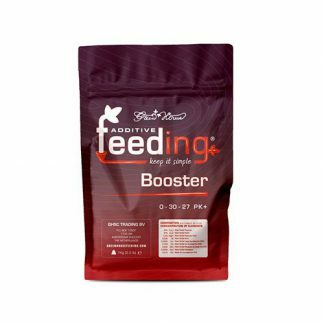 Use the lower dosage for young or fragile plants, and the higher dosage for established plants. 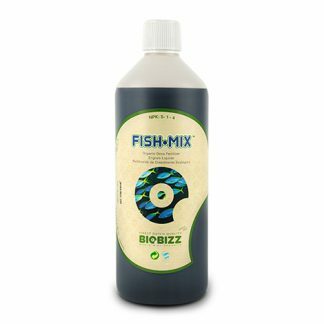 As a final rinse / after Ripen: Use 3 ml / L of FloraKleen instead of nutrients during the last two days before harvest to increase the sugars level in your crop instead of losing aroma and medicinal content with a long water flush. NB: FloraKleen can be used at any stage of growth or flowering but do not use FloraKleen more than once every two weeks. FloraKleen helps Ripen work to its full potential. By rinsing residues of nitrogen and other salts out of your substrate, Ripen can get to work more effectively mobilizing nitrates and improving taste in your final crop. When you’re done, instead of a 10-day flush with water after Ripen, try with FloraKleen – growers around the world have, because in commercial production, 8 days per harvest is a big bonus!